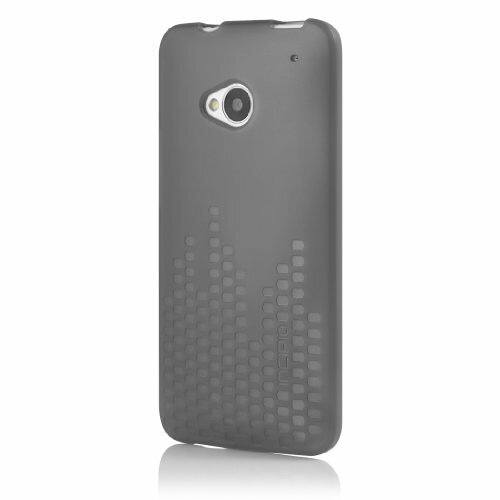 Today I got you guys my review of the Incipio Frequency case for the HTC One. 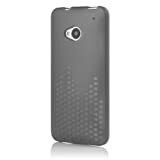 As of right now this is the best case I’ve reviewed for the HTC One. It comes in four different colors and pricing and availability is down in the description. My favorite thing about this case is without a doubt the slim profile and design. As you can see here the case offers virtually no bulk to the phone. Also, it gives you full access to all the ports like the micro-usb, volume rockers, and power button. Of course everything is real responsive so there aren’t any issues there. Now on the back of the case we see the frequency look which is really cool outside and in the lighting here. There’s also some Incipio branding here as well as a solid cut out for the camera and flash. One important thing to mention about the case in general is that it isn’t slippery at all. Like I mentioned at the beginning of the review this is probably the best case I’ve reviewed for the HTC One. Now this definitely won’t give a ton of protection, but for me this is pretty awesome. If you’re interested in picking this case up go ahead and check out the link below and don’t forget to share this video as well.